It is a problem when you need to have multiple implementations of a BAdI which does not implicitly allow multiple implementations by its definition. How to bypass this limitation? 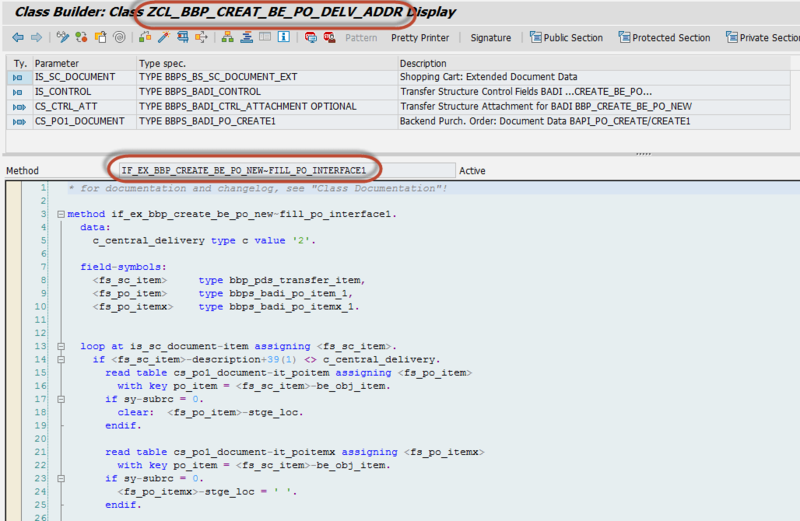 I’ll show sample solution on an SRM BAdI called BBP_CREATE_BE_PO_NEW. 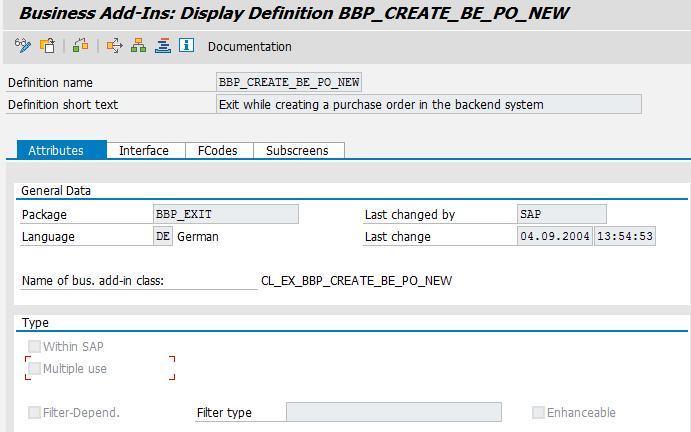 In SE18 open BAdI BBP_CREATE_BE_PO_NEW and check that checkbox “Multiple use” is not selected. This means the BAdI can have only ONE active implementation. 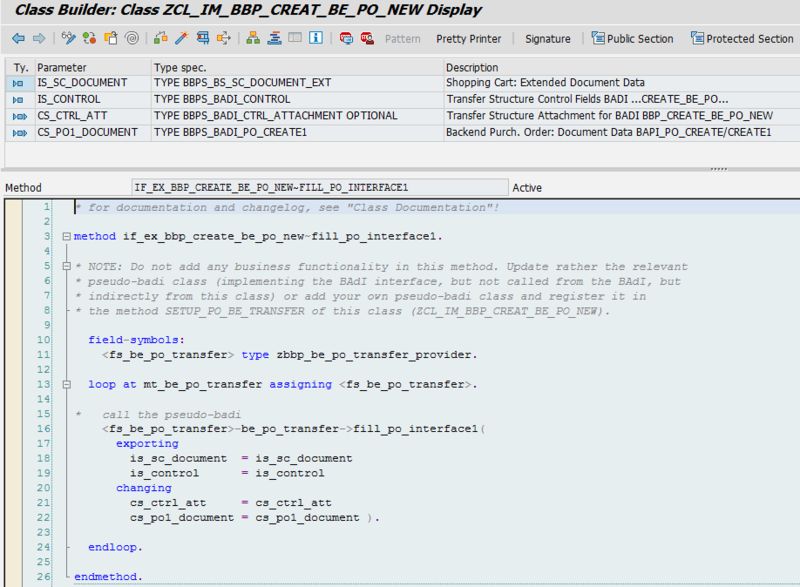 Create new Z-classes – one Z-class per each of your required psuedo-implementations. In each class, add the same interface as used in the main implementation class into the Interfaces tab. In our case we created Z-class ZCL_BBP_CREAT_BE_PO_DELV_ADDR which will handle delivery address manipulation. In all interface methods of the main implementation class loop over your class attribute (itab) and call the same method with the same parameters for each line. In each of your Z-classes implement the necessary interface methods. Each Z-class interface method will now handle just the part of data manipulation that is required. 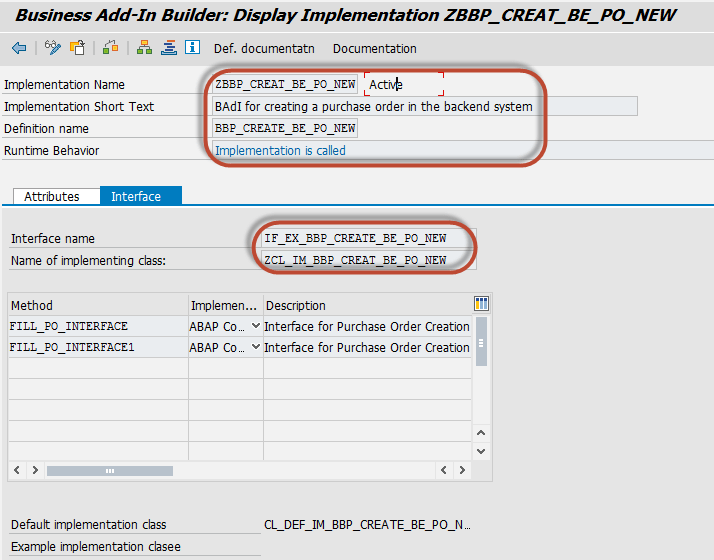 This entry was posted in ABAP, Customizing, Design Patterns, Development and tagged ABAP, badi, implementation class, OO ABAP, SE18, SE19 by Spider. Bookmark the permalink.